One of the coolest things about Balian growing up (too quickly for my liking, I might add), is watching him develop his own likes and interests. When we began redecorating his room, and turning into a true big boy bedroom, he started to have a little to say about what went on the walls, and where. 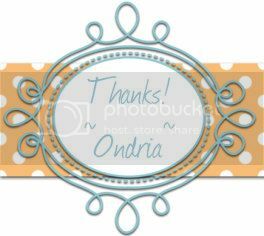 We left some blank spaces, or canvases, if you will, for decor that was to come. We saved a blank space on the wall near his very favorite hideout for a special decoration we thought he would really get a kick out of. 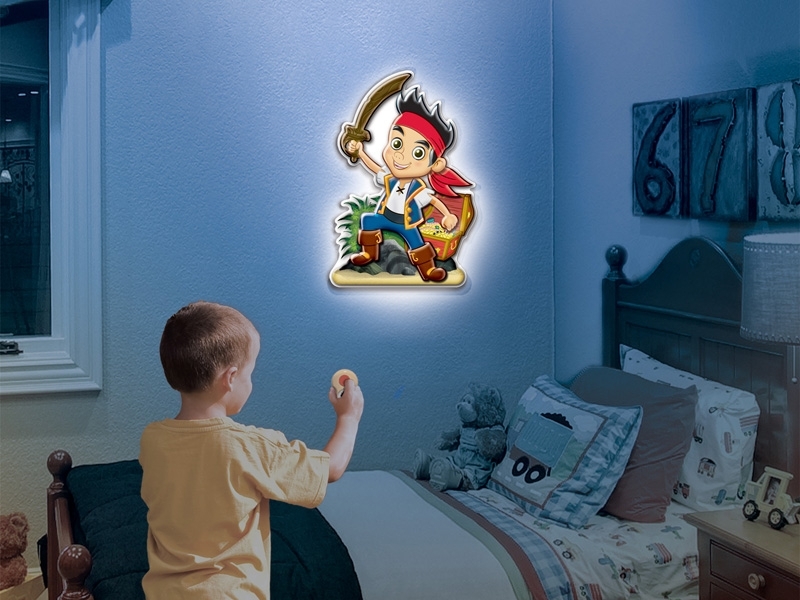 When I learned about Wall Friends, a new interactive kids decor product from Uncle Milton, I knew it would be just the right special touch for Balian's decked out Lightning McQueen bedroom. You may recall Steph having worked with Uncle Milton last year. 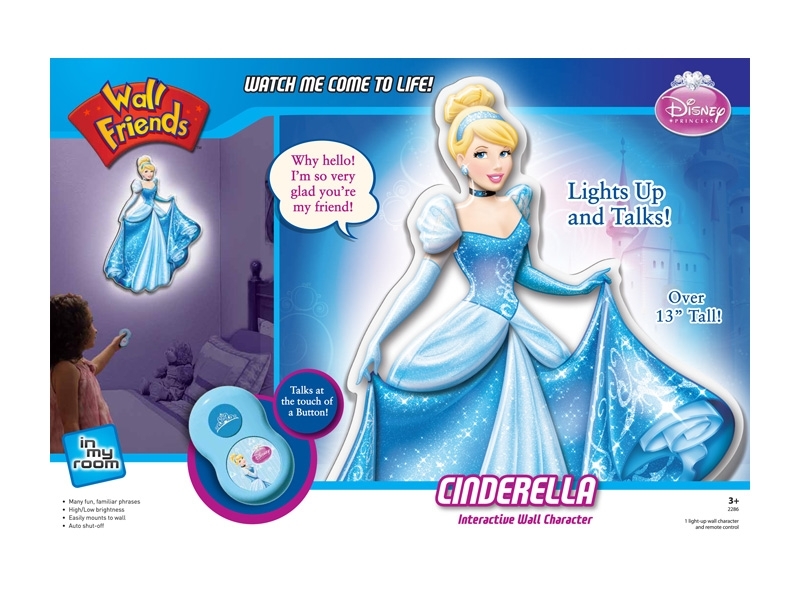 She reviewed some pretty cool World in My Room products from Uncle Milton with her kiddos, which you can check out, here.Founded in 1946, Uncle Milton connects kids with the coolest toys, puzzles, games and more (and they're pretty educational, too!). 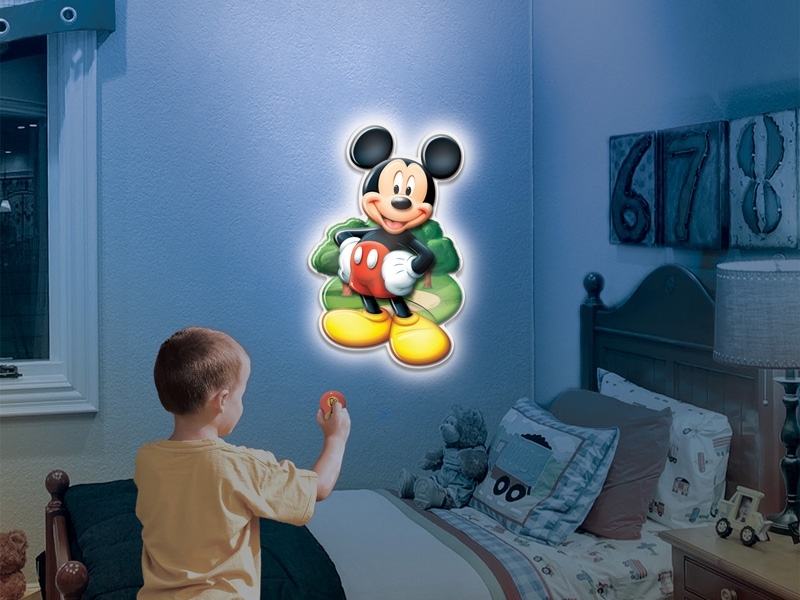 Uncle Milton just came out with their new Wall Friends, which are Disney characters that mount on the wall with light and sound at the touch of a button from a remote control! 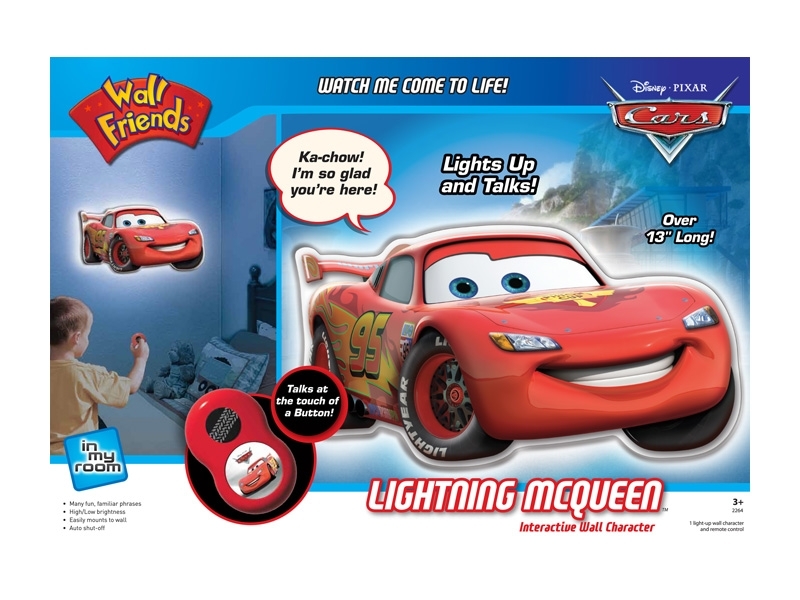 We were sent the dashing Lightning McQueen Wall Friends Character from our friends at Uncle Milton, and as soon as Balian saw it, his eyes lit up and he asked if he could play with it. I tried to explain that it was a decoration, and that he actually could play with it, after we got it set up in his bedroom. Open box- the McQueen Wall Friend with remote control. Out of the box- Lightning looks so realistic... and shiny, too! The adorable Lightning McQueen Wall Friend is over 13" long, which is a great size, because it's large enough to be seen, but it's not so large that it takes up a ton of wall space. Lightning is controlled by a battery operated remote control, which kids can easily use, by simply pressing a button. The Lightning McQueen remote control. We installed the AA and AAA batteries in the Wall Friend, and the remote, and then headed into Balian's new race car room to test it out. There are three holes in the back of Lightning McQueen, made for easy hanging. We slipped Lightning over a couple of nails on the wall in Balian's room, in a spot where he'd be able to easily see his new friend. There is a high, low and off position you can switch the character to in the back. I selected the low position before I hung him on the wall, and then handed the remote over to Balian to try it out. Lightning McQueen, all lit up and ready to entertain us! I couldn't wait to hear what Lightning would have to say to us, and neither could Balian. We turned the lights out in his room, and then I told Balian to press the button on the remote to turn Lightning on. He grabbed a front row seat, and we watched as the light show began! Check out our new Lightning McQueen Wall Friend in Action! Is that cool, or what? Balian feels like the coolest kid in town with this hot new interactive wall decor for his big boy bedroom! Lightning is fun to play during the daytime, and after the sun has gone down. We love to have a little light show after we've read our bedtime story each night, and before we get Balian all snuggled into his bed. One of the best things about this product, is that there's no power cord. I have weird issues about power cords in baby and toddler rooms, so the fact that this is battery operated really eases my mind. A great night light with high/low brightness settings and auto shut-off. Lightning McQueen is over 13 inches wide. Head on over to Uncle Milton to check out all of their cool and educational products for kids! If you like the idea of the Wall Friends, you may want to check out their Wild Walls, for ages 5+! Uncle Milton is social and would love to connect with you on Facebook, Twitter, and YouTube. You can also sign up for the Uncle Milton Newsletter to be kept up to date on the latest and greatest products from Uncle Milton! One lucky MBP reader will win their very own Wall Friends character of choice from Uncle Milton! Just use the Rafflecopter entry form below to enter to win! Giveaway is open to US residents, 18 and older. Special thanks to Uncle Milton for helping us add this super special decorative and fun feature to Balian's big boy room, and for offering this super cool giveaway for our readers, too! My son would absolutely LOVE the Lightning McQueen! It may even help with his fear of the dark! My son would love lightning Mc Queen !! The moon would be perfect for my daughter !! My daughter saw the pages and loves Lightning McQueen. Funny, that's not what I thought she would pick; I suppose girls like cars too. Cinderella.Thanks for the giveaway !! 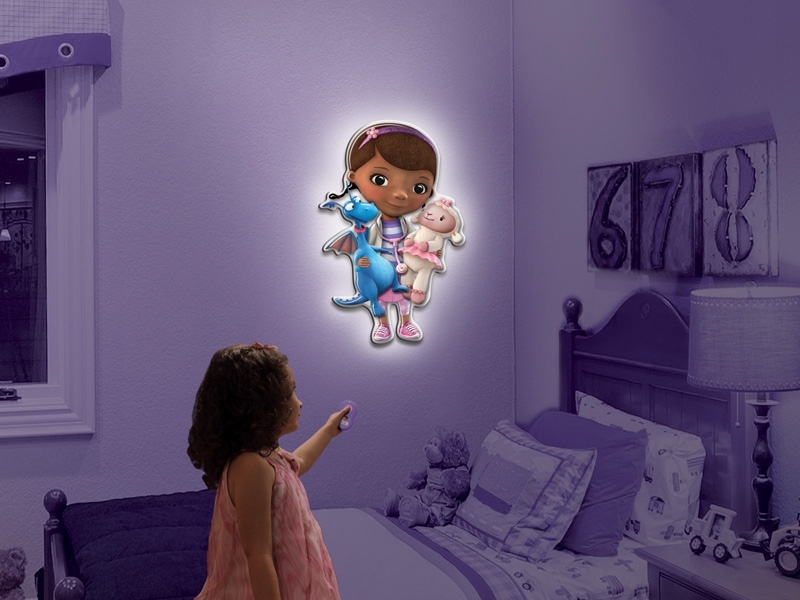 My granddaughter's would love the Dream Fairy Room Light. My granddaughter would also love Fireflies In My Room from the In My Room selection. The Screamin' Sky Weasel looks like fun. The boys would like Lighting McQueen best! These are so awesome thank you! I'd love Minnie Mouse for my duaghter's room. Love to win minnie mouse , thanks for the giveaway!! I think Mickey Mouse would be the biggest hit in our house. Ladybug playfround , thanks for the giveaway!! The Shoe Fireworks from Uncle Milton because my granddaughter is 3 years old and really loves shoes that light up or make noise. My big Kiddo (my hubby:) would love the Star Wars Holographic Animation Lab! My two granddaughters would be fascinated by the Hatch 'n Grow Chicks because they grow to 4x their size in water within 24 hours and because their adorable! My granddaughter would like cinderella!! !